Ensuring continued and affordable access to fresh water matters to everyone. Many innovative people and organizations are constantly developing projects and initiatives to collect, save, recycle, purify water, protect natural resources and improve access to water in areas of scarcity. In September 2015, a set of goals were adopted at the United Nations’ General Assembly, called the Sustainable Development Goals (SDGs) to end poverty, protect the planet, and ensure prosperity for all. Water resources and related challenges are explicitly and ultimately addressed in SDGs 3 “Good health and well-being”; 6 “Clean water and sanitation”; 9 “Industry, innovation and infrastructure”; 10 “Reduced inequalities”; 11 “Sustainable cities and communities”; 12 “Responsible consumption and production”; 14 “Life below water”; “15 “Life on land”; 16 “Peace, justice and strong institutions” and 17 “Partnerships for the Goals”. The availability of fresh water highly varies across countries and regions, which indicates a vibrant potential for everyone to enact, within its sphere of influence, to reducing these inequalities. Connecting like-minded people and organizations, and building on their collective efforts and expertise towards a more efficient use, allocation and distribution of water worldwide constitutes an exciting potential for the benefit of everyone. Jacques is President of Waterforeveryone, he brings over 30 years of experience in education, he loves facing new challenges, travelling, cooking and enjoying life with friends and family! 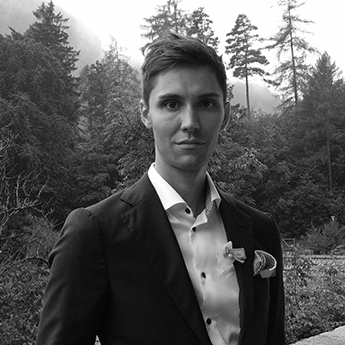 Mathieu is Coordinator of partnerships and collaborations, he works in international cooperation and sustainable development, his passions evolve around spending time with his family and friends, developing new projects, do all sorts of sports and travel the world! Françoise is Coordinator of projects and Treasury of Waterforeveryone, she brings over 30 years’ experience in maths science and she has a never ending appetite for new adventures, playing with numbers as much as with new ideas for local and international initiatives! Florence is Coordinator of projects, she works in the field of education and construction and she shares an open mind on all sorts of innovative concepts to transform and revolutionize the way international cooperation works! Nathan is Coordinator of projects, he brings experience from his legal background and he brings a unique combination of sense of humour with very robust analytical skills, making any innovative idea exciting, auspicious, motivating and well established on good tracks! Denis is Coordinator of projects, he works as an engineer that turns visions into concrete planning and makes them fly, he is very dedicated to his family and friends and offers unequivocal support to anyone who wants to make our world better! Duc is Coordinator of web-platform and community, he works in international cooperation and develops technological solutions adapted to various contexts, enabling local realities to benefit the most from the most innovative technologies! Kris is Social media and marketing advisor, he brings extensive experience from digital marketing and social networks, ensuring visibility and outreach of initiatives to their partners and supporters, developing successful dissemination strategies through web and media campaigns! Thinh Nguyen was born and grew up in Hanoi, Vietnam and is passionate about human rights. She studied international law and founded Better Life Vietnam with the belief that access to education, food, clean water, healthcare, and a decent quality of life are basic human rights. Bushra works in communications, advocacy and international development. She is a big supporter of causes related to climate change, gender equality, children and loves photography, traveling and cooking. Binayak is an academician by profession. He is associated with Kathmandu University School of Management (KUSOM) in Nepal. His area of specialization is International Business, Trade and Finance. He believes in the philosophy of non-violence and loves traveling and interacting with people. Zulma is a researcher at UFPR (Universidade Federal do Paraná) in Brazil, she has experience working with the Red Cross in Colombia and brings dedication and hard work to make the world better in any possible way.